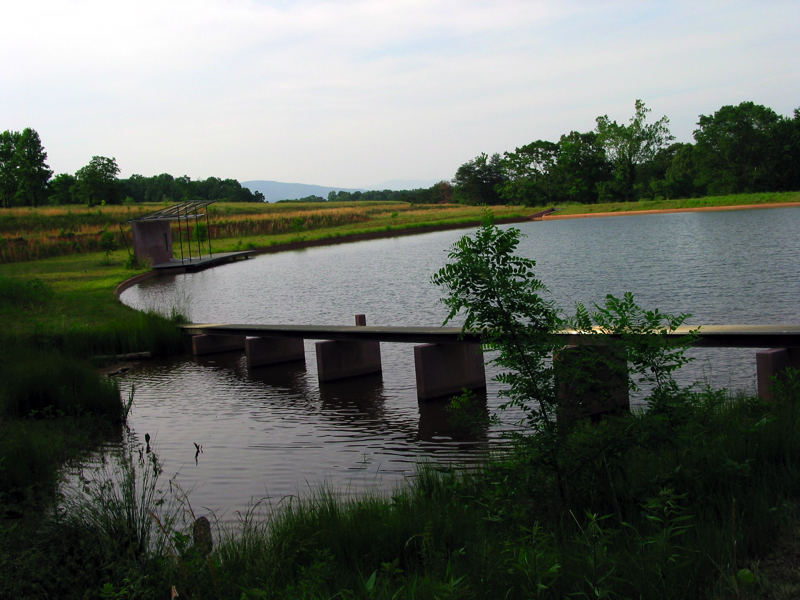 Over the last three decades a major part of our design research has taken place on a large tract of land in Batesville, Virginia. This has become a laboratory to test out ideas of design and fabrication at the scale of furniture, building, and landscape. Robin Dripps teaches within the studio design sequence, lectures on architectural theory, and directs a seminar on the relationship between design intent and detail manifestation. The ACSA honored her teaching with its Distinguished Professorship Award in 1992. Educated at Princeton (BA in architecture) and the University of Pennsylvania (M. Arch), she has been writing and lecturing on the structure of myth as a fundamental basis for architectural form. This work was published as The First House: Myth, Paradigm, and the Task of Architecture, where it received a Phi Beta Kappa book award in 1999. Professor Dripps recent research, writing, and teaching deals with the pragmatic and poetic opportunities of a shift in interest from the figure to the intellectual and physical grounds, fields, and other networks that give order to human action. Her essay,”Groundwork” was published by Routledge in Site Matters, an anthology on recent re-thinking about sites edited by Carol Burns and Andrea Kahn. ?Notes on an Ethical Context for Fragmentation, Continuous and Multiple Grounds, and other Open Fields of Action,?that is part of a forthcoming publication by the University of Virginia Press on the relatioship between ethics and aesthetics. 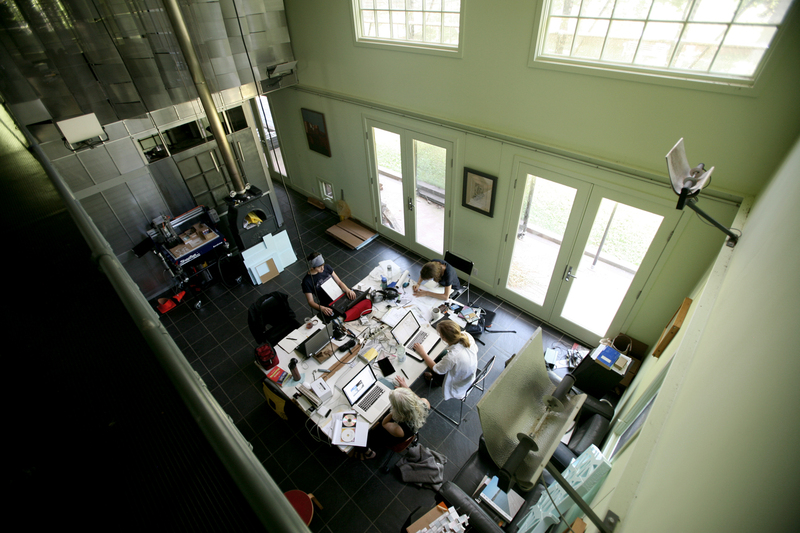 The design work of Professor Dripps, with Lucia Phinney, deals with the unobserved edge shared between architecture and landscape architecture, or between construction and ecology. Working with large scale earth works, water works, and agriculture, as well as scaffolding systems, operable shade cloth, and other lightweight materials, they have produced a body of work revealing different ways that the interior life of architecture can engage its political and natural context. This work has been published and exhibited in America, Europe, and Asia. Robin is also the designer and driver of a car that now holds two world land speed records. A Lecturer at the University of Virginia since 1981, Lucia Phinney has been a Distinguished Lecturer since 1996. Lucia Phinney notes that while common sense reveals a vital biotic and meteorological milieu, representations of new construction nearly always portray buildings as sited in a context of blank surfaces. Seeking to remedy this lapse, her research and studio teaching are directed towards the rescue of the natural world through both representation and presentation. Her work explores the means to reveal rather than erase the incredible potential for natural systems to effectively engage and inform the places we make. Drawing on the history of painting, poetry, drama, and music, where hypotheses about the relationship between nature and the human condition are a constant thematic presence, she and her students propose interventions that change the definition of architecture to encompass natural process. Lucia Phinney has addressed these issues outside of the classroom through “The Covesville Odyssey”, a hypothetical reconstruction of the island landscape and home of Odysseus (a metaphorical tale of how humans dwell in the natural world); and through the research and design associated with the management of the gardens, fields, and forests of a farm in the Virginia Piedmont. Lucia Phinney’s recent work has been published in the following books and magazines: House Beautiful; Elle Décor; Storage, by Sally Clark; Architects House Themselves by Michael Webb; and Eighteen Houses, W. Jude LeBlanc, ed. A 2003 graduate in Landscape Architecture at the University of Virginia, her master’s thesis examines the possibility that weather construction can instigate active urban life.